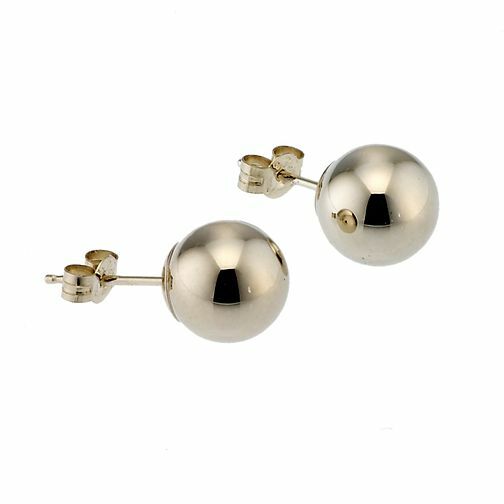 Keep it simple with these stylish 9ct gold 8mm ball stud earrings. Designed for everyday elegance. 9ct Gold 8mm Ball Stud Earrings is rated 5.0 out of 5 by 2. Rated 5 out of 5 by Anonymous from Stylish and elegant earrings I have been looking for a pair of stud earrings for work for sometime but they have all been too small. I purchased a size 7mm in yellow gold from your company as a present for my son's partner but they were still slightly too small for me. I purchased a size 8mm in white gold and they are perfect. They look really good worn either in the day or evening. I haven't taken them off yet!!!! !